Sherry Cady in her laboratory at the Environmental Molecular Sciences Laboratory at PNNL. In her right hand is a rock from Morocco that is nearly 2 billion years old and has locked in signs of ancient life on Earth. In her left hand she holds dozens of samples of "extremophiles," microbes that live in some of Earth's more extreme environments. Her knowledge positions her to identify signs of ancient life on another planet — Mars. This rock from Morocco, nearly 2 billion years old, has locked in signs of ancient microbial life on Earth. The rock is a stromatolite, a layered rock composed of microbially influenced sediment. The differences in color and thickness are due to the influence of microbes. Scientists estimate that this rock from British Columbia is just a few thousand years old. The nooks and crannies are a mark of the distribution and activity of phototrophic bacteria at the time the rock was formed. 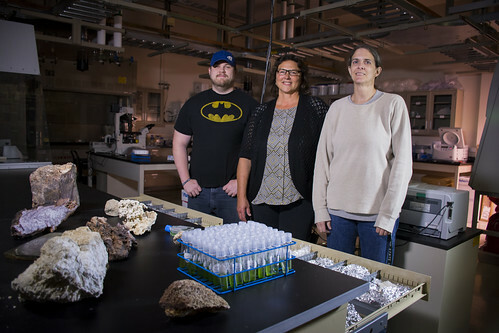 Members of the Cady lab, from right: Ph.D. student Shana Kendall of Portland State University, who is doing her doctoral research in Cady’s laboratory; Sherry Cady; and master’s graduate student Jory Brookreson of Washington State University, who maintains the culture collection in Cady’s laboratory. RICHLAND, Wash. — The search for signs of ancient life on Mars has come to the U.S. Department of Energy's Pacific Northwest National Laboratory, where an expert on rock chemistry and microbial signatures is part of a team that is investigating whether there has ever been life on the red planet. 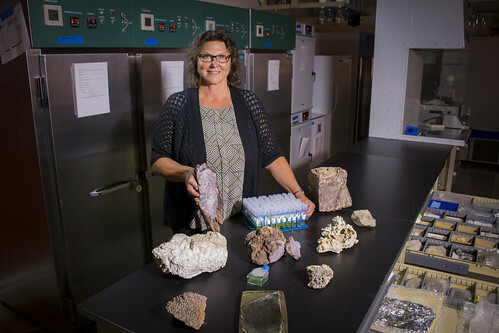 Sherry Cady, a scientist at EMSL, the Environmental Molecular Sciences Laboratory on the PNNL campus, is taking part in research advancing the types of detection strategies that could support the search for fossilized life on Mars. Rovers that are being developed to probe for fossilized signs of life will be sent to Mars in 2020 by the NASA and European ExoMars programs. 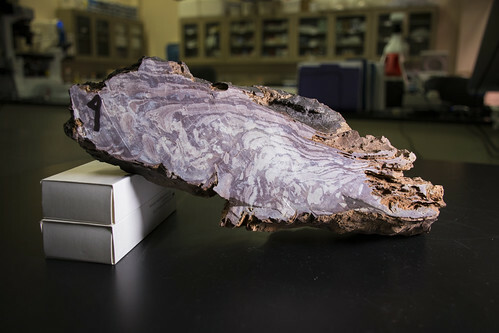 Cady's knowledge about how signs of microbial life on Earth have been captured and recorded in the geologic record will contribute to the roadmap scientists will use to explore the possibility that life once existed on Mars. NASA's Mars 2020 rover mission will give scientists an unprecedented opportunity to investigate the question of life there. The mission will put a vehicle like the much-heralded Curiosity rover on Mars. The rover — chock full of cameras, sensors, and instruments — will collect rock samples for analysis for potential return to Earth as part of a subsequent mission. "The rover mission control team has to ask whether an environment could have supported microbial life and if there is a high likelihood that evidence of that life could have been preserved," said Cady, a geomicrobiologist, who is joining scientists from the SETI Institute on the project. "Finding just the right rocks to collect on Mars will be a difficult challenge, as we know from efforts to decipher ancient life in Earth rocks. Doing so on a planet, remotely, where we don't even know whether life ever existed, is even more challenging," she added. To improve their chances, Mars2020 mission scientists will search for ancient geological environments that could have supported and fossilized evidence of ancient microbial communities. Such rocks are readily available on Mars because the planet never evolved geologically like Earth, which has experienced plate tectonic activity for billions of years. "Like Earth, Mars is a rocky planet that was pelted by comets and meteorites early on when there were ingredients like heat, water and life-supporting elements necessary for life available in the surrounding planetary materials," said Cady. "We know evidence of early life exists in ancient deposits here; why not on Mars? Alternatively, if signs of life are never found on the red planet, then that leads to another interesting question: Why not?" The contributions of the team that Cady is a part of will help guide decisions made by the scientists who direct the rover's activities regarding which samples to analyze on Mars and which to set aside for a future mission back to Earth. "Scientists need to know what to look for once the rover is deployed," said Cady, who has been part of national scientific discussions about Mars missions for nearly two decades. The team's research includes analysis with an array of sophisticated instruments at EMSL, a DOE Office of Science User Facility. Her research involves the use of mass spectrometers and electron microscopes that reveal how the activity and chemistry of microbes are captured and preserved in rock. Cady has explored signs of microbial life in samples from some of our planet's most inhospitable places. On Earth, life has thrived in hot springs that resemble vats of boiling acid and brines, in the harsh sub-zero temperatures of Antarctica, and in high-altitude deserts that virtually bake from relentless solar radiation. 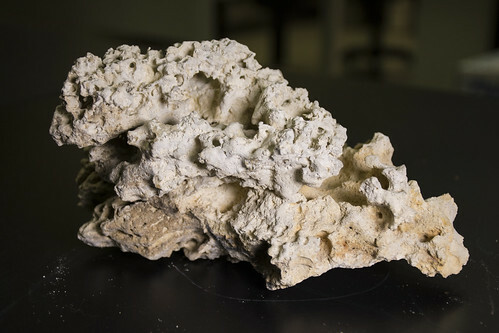 Currently, much of her work focuses on samples from hot springs in Yellowstone National Park, where the activity of microbes has been captured and fossilized. If life can flourish in such punishing environments, perhaps it has also thrived on Mars, whose early history is very similar to Earth's. Cady's EMSL laboratory is witness to her passion. It holds hundreds of samples of hydrothermal rocks from the ends of the Earth, nearly all harboring signs of microbial life. Nearby sits a collection of light-loving "extremophiles," microbes that live in some of Earth's most extreme environments. Its 1,300 samples come from hot and cold deserts, permafrost, salty lagoons, acidic, alkaline, and metal-rich hot springs, and other habitats from the Arctic to Antarctica. Cady inherited the Culture Collection of Microorganisms from Extreme Environments (CCMEE) from Richard Castenholz, professor emeritus at the University of Oregon, who combined his collection with that of the late Imre Friedmann and Roseli Campos-Friedmann of Florida State University. "By advancing our knowledge of extremophiles on Earth, we can hone the search for life beyond it," said Cady. Cady is founding editor of Astrobiology, a journal dedicated to understanding life's origin, evolution, and distribution in the universe. Cady will receive $1.4 million over the next four years from the NASA Astrobiology Institute to do the research, which is being done in collaboration with a team of scientists led by Nathalie Cabrol of the SETI Institute. The SETI Institute is a multi-disciplinary, highly collaborative research organization committed to exploring, understanding, and explaining the origin, nature and prevalence of life in the universe.